i will have go on the system. very interesting subject as compared to all the other strategies I have tried, this kinda makes sense. (as I never knew the importance of volume and supply/demand). just wondering if there was (such as) volume indicator that can send email alerts, for instance when volume reached certain level? That, I am not sure. I have zero knowledge in programming indicators. Volume as well, for VSA, is a relative thing, so I am not sure if a certain figure would be a great idea. That would also be different with different brokers, as it is not Actual volume, but tick volume, which is as good as it gets (but pretty darn good anyway). A “Climactic Volume” event could occur any time, so the climactic event, if in Asia session, could simply resemble the same volume as London session for example. Attached below is a good example of what I mean with climactic volume in “out of hours”. The idea being to also compare that volume (H1) to that of previous days as well to work out what “average” is. Perfect example on current charts. have a look at EU currently. Easy to spot the climactic candle and then the events afterwards. Prior to this, high volume on the lows, then climactic event and heavily sold off. Guess who had the sell positions in their pocket right at the end?? 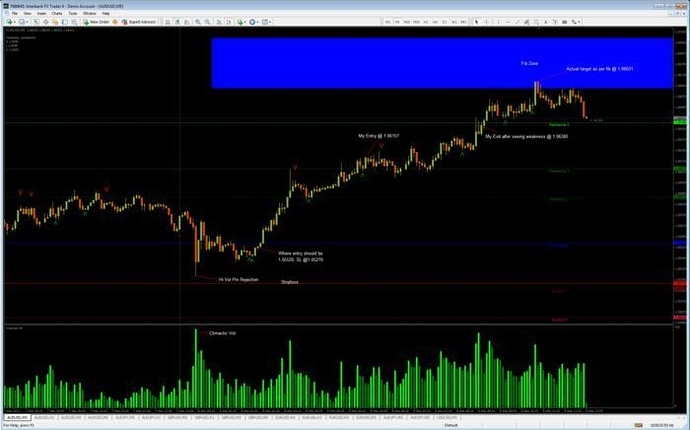 petefader did you stop to post your trade entries? Unfortunately no longer available to download? 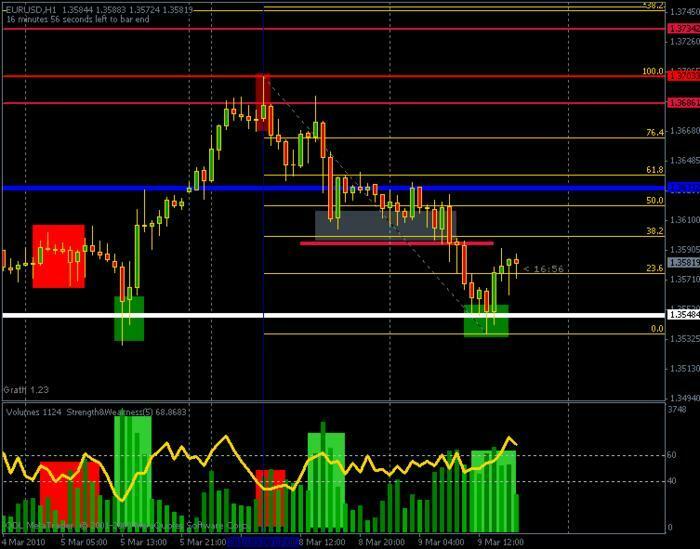 Where can I find the set of Indicators you are using in this chart, specially the one drawing the green and red zones. 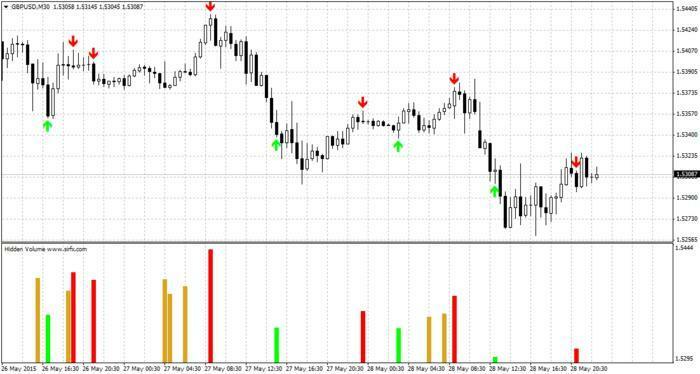 A lot of these indicators are found on the MT4/MQL forums! Could you show me where these indicators can be found please? Check this out non repainting one! [QUOTE=QQE;702556]Check this out non repainting one! What is that indicator called please? I can see hidden volume but not the rest of it.